They are a perfect way to achieve a semi-homemade meal. You simply add chicken. This semi-homemade meal would involve channeling my cooking energy into a side dish. I did a little searching and found this Food.com Thai Zucchini recipe. 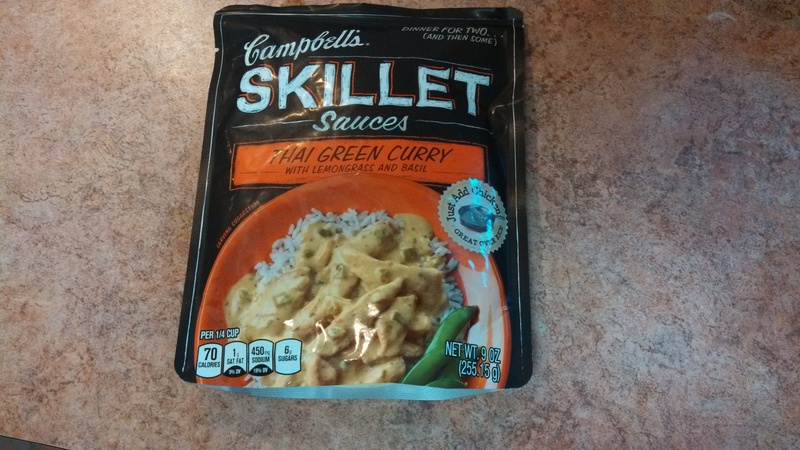 It turned out to perfectly compliment the green curry chicken. I also got to have fun with these adorable baby zucchini from Trader Joe’s (below). 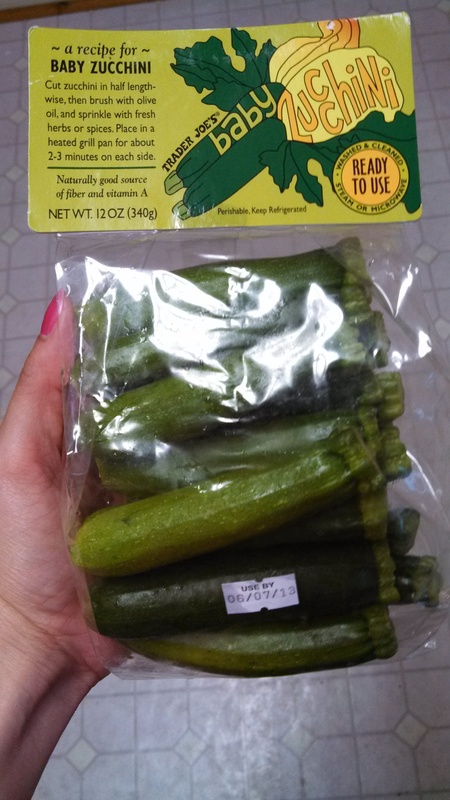 TJ’s was out of regular-sized zucchini, but I think these little ones ended up being much easier to cut into thin strips so I am recommending you grab these if possible. I hope you’ll enjoy this flavorful side dish as part of your own semi- or fully-homemade meal. Cook garlic, ginger, and red pepper in oil in a large skillet over medium-high heat for 1 minute, stirring constantly. Add peanuts and next 4 ingredients (chicken broth through sugar), stirring well. 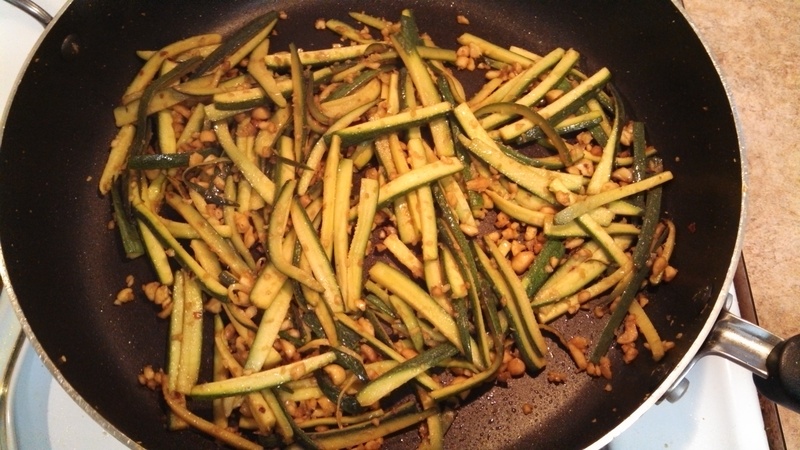 Add zucchini, and cook, stirring constantly, for about 5 minutes, or until crisp tender.